Wow 100 posts later and I’m still blogging. As promised I would like to thank all the readers that visit my blog and check in on me, my family and the crazy world we live in. So I have rummaged around and come up with the following RAK. It includes 23 sheets of patterned paper and all the goodies shown here. All you have to do is leave me a comment on this post and I will put you into the draw, which will take place this Friday. If you don’t want to be in the draw and still want to leave me a comment then please just let me know. I promised some sewing photos…..here is a quilted bag I made the other day to carry my camera (on its own) in my handbag. I have admired Lis’s for quite some time now and have been meaning to make one of my own. I have added a pocket to the inside to hold my spare battery and there is also enough room for my lens hood too. Thanks for the inspiration Lis. I’m hoping to get to Spotlight or Textile Traders tomorrow and find some fabric for my bags I want to make. Here is my layout class for the Hyden Retreat. Everything is not as it seems with this layout! 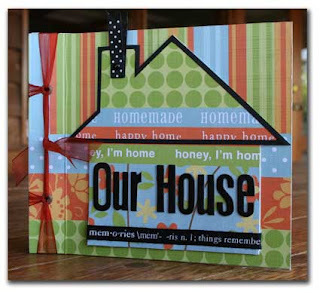 And my Our House - Mini Album class using the gorgeous Scenic Route Ashville and Sumner range of papers and die cut tags. Well that’s it for today and possibly this week. See you Friday for the RAK Draw!!!!! Congrats on 100 posts!! 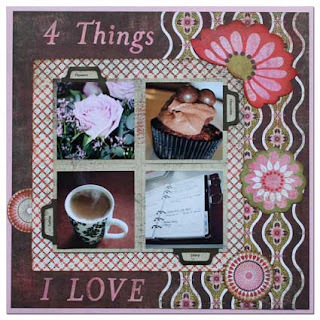 Your layout and mini album for the retreat look great as does your sewing project. 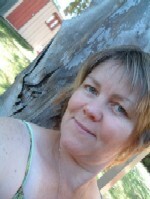 Your blog is an absolute pleasure to visit, lots of variety and yummy eye candy. Have a great week, hope it goes slow for the last of the holidays. Congratulations on reaching 100 posts! I love visiting your blog. The layout and the mini album are just gorgeous! I'm sure everyone who takes your classes will love creating those. OK so now my camera bag looks really boring! I need a new one! 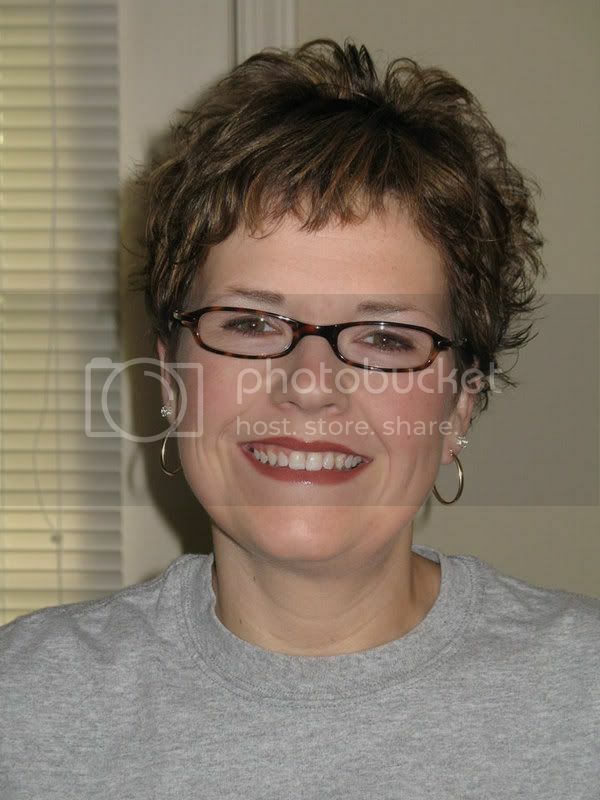 Gee time is flying now we are off to the retreat next week! Hopefully we will scrap as well as teach! I want to get 4 years of Christmas photos done...lol...plus E's birthday album! Well it looks like I came back from holidays at the right time - you're doing a RAK and it looks wonderful Sharon!! And those are gorgeous creations for the retreat Sharon - very classy! congrats on reaching 100 posts. Like the page and album here. Love the bag you created. Congrats as you celebrate a milestone # of hits.! well done on the 100 posts, I need to do a bit more than one a month to get there anytime soon. Love the camera bag - I have a stash of fabric in the attic, but no room in my craft room for it just now. Those goodies are FABULOUS!!! Congrats on the posts! Thanks! congrats on you 100 posts. Congratulations on the 100 hit milestone...Sewing and stamping/scrapping...where do you find the time? My hats off to you! I would love to be included in your celebration drawing, the goodies look absolutely wonderful. Cute project for a camera - that should keep away the scratches while in your purse! Also, thanks for a chance at some goodies! your camera bag is awesome!! what a great prize!! thanks for the chance to win!! Congratulations on 100th post..great blog and thanks for sharing such great goodies...happy stamping. Congratulations, you have a great blog ! Congrats on 100 posts! Thanks for the chance to win! 100 posts is a celebration! Ooo... I love your layout withe the Basic Grey papers. Your design is awesome! Fabulous way to celebrate your aooth post!! And I love that bag!!! Congrats on 100 posts. I love your "Our House" mini album, it looks great. Thanks for the chance to win the RAK. Wow that looks like some nice giveaway. Thanks for the chance to win. That sure is a nice bag you made. I'm into sewing these days. From clothing to bags to even rugs and quilts! Great thankful candy. Your creations are wonderful!! Thanks for the chance. What wonderful blog candy. thanks for sharing!!! That mini album is too cute! Congrats on the 100th post! I love your blog. 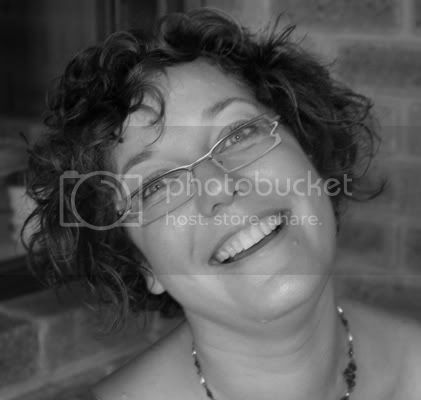 Your photography is so professional, I love your creations, and your blog is just plain FUN! Love the camera bag!! And your projects are very nice! I love the scenic route stuff!! WOW congrats on reaching 100 post .....Love that bag its beautiful!! Congrats on the hits! I love your creations - if you ever get the chance, I'd love to see the inside of the house album. I love the camera bag! SO cute! Great blog candy too! TFS! Congrats on your hits - well done, great blog. Thanks for the chance. Congrats on 100 posts! Great blog! Cheers to you - You have reached 100 posts and we all agree that your blog is fun-tastic!!! Thanks for offering us treats to celebrate. 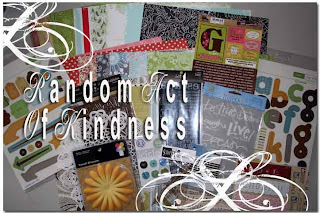 I would love some pretty paper and hope to win this blog. You have a nice blog site. I love the bag you sewed! Congrats on your 100th post and awesome blog candy! Well well well - 100 posts later! A huge congrats Shazza !!! Please don't put me in the draw I just wanted to say well done!